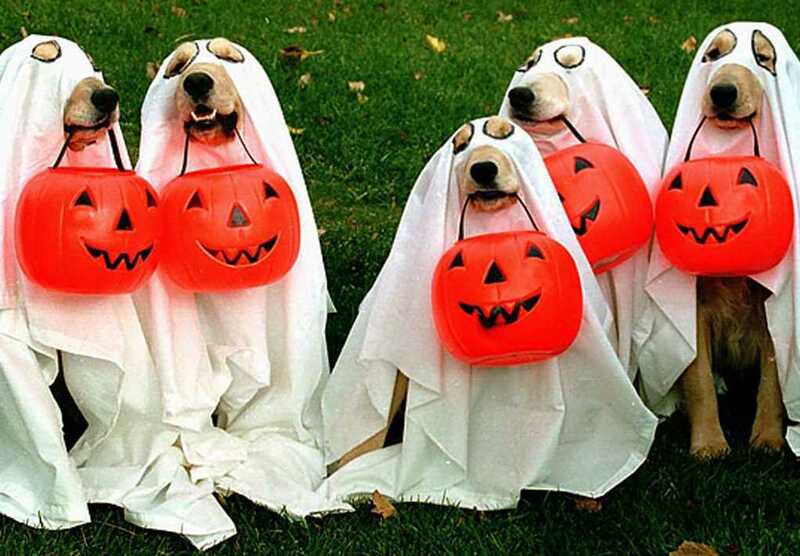 Pet costumes: Cute or Cruel? Discuss! Halloween is the only time I put my anti-pet costume moratorium (sp?) on hold. I totally get that people view their pets as children or companions so I can put up with it for one day (as long as they don't take any pictures with big sunglasses on their dog - that is stupid year round') However, buying little human outfits for your pet, especially if you have the same outfit in your size, is verboten. You want something living to dress up, then have a baby. You are just insuring that your dog is going to be teased by other dogs at the off-leash park. Not a fan of pet costumes/clothing besides what is needed to keep the animal healthy. While I ain't much of a fan of pet costumes as well, I think that dressing them up once a year during Halloween might not be that bad.